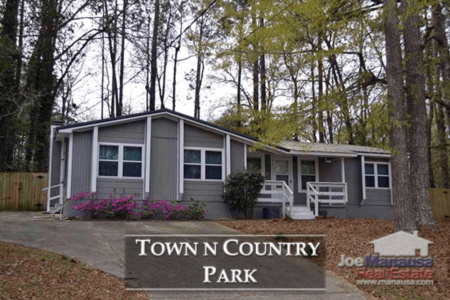 Town N Country Park is a centrally located neighborhood that is within walking distance to the up and coming Centre of Tallahassee (formerly the Tallahassee Mall). The growing commercial attractions could very well rejuvenate interest in the area. I suspect this central (NW Tallahassee) location is ripe for a change, much as what we've seen in midtown, and I would not be surprised if we find the 20 somethings in Tallahassee begin to repopulate the area with singles and young families. As a sixty year old subdivision with single family homes that are mostly 3 and 4 bedrooms, it is perfect for such a transformation. Currently, buyers are getting homes at a steep discount to what these homes would cost to replace. 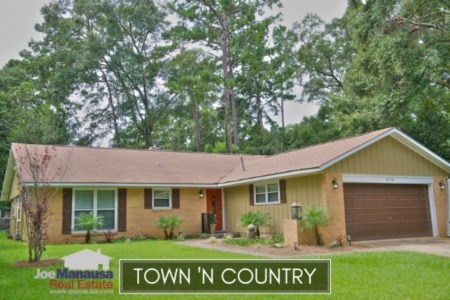 I encourage our readers to examine home prices, home values, and home sizes, along with all current listings in the Tallahassee MLS and all closed home sales going back to 1991 to understand the current values to be found in Town N Country Park. It is important to note that the narrative contained below is for sales through December for all previous years, but through the fourth week of December in 2015. The graphs and the closed sales table will be continuously updated into the future (meaning bookmark this page if you always want to know the current status of homes in Town N Country Park). Average home prices have fallen 15% in 2015 versus the average recorded in the prior year. The way the market is recovering though, I just don't think buyers will find prices like this much longer. The average recorded sales price is $112,250 for Town N Country Park thus far in 2015, which means recent buyers have practically stolen their homes. They will look back in 10 years and be extremely proud. Home sales activity in 2015 has been the best recorded year since 2006. Through the fourth week in December, there have been 15 closed home sales in Town N Country Park. Average home values in Town N Country Park have fallen again this year, as distressed home sales will represent one in every three closings in 2015. But this will not last forever, and values will soon be much higher. Through the fourth week in December, the average value of a home sold in Town N Country Park this year has been $71 per square foot (it won't be long until the land alone would sell at that price). The average home size sold in Town N Country Park typically falls in a range of 1,500 to 1,700 square feet, and 2015 has recorded sales has been no different. The 15 home sales in 2015 have averaged just 1,612 square feet. The following list shows home sales in Town N Country Park going back to 1991. I hope you enjoyed our December 2015 update on home sales in Town N Country Park, please feel free to drop me a note if you have questions not covered in this report.